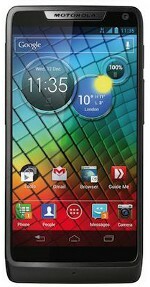 The Motorola Razr i was announced in September 2012 and is the European version of the previously announced Motorola Razr M.
The Razr i features a 4.3-inch screen, 2GHz Intel Atom Medfield processor, 8MP camera and NFC functionality. Unlike the Razr M, the Razr i is based on Intel’s smartphone reference platform. The Razr i, an Android 4.0 device, shipped in the UK in October 2012 and retails without a contract at around £350. A variant of the Razr i known as the Motorola MT788 is also powered by an Intel chipset and is believed to have NFC on board. The MT788 is available in China.